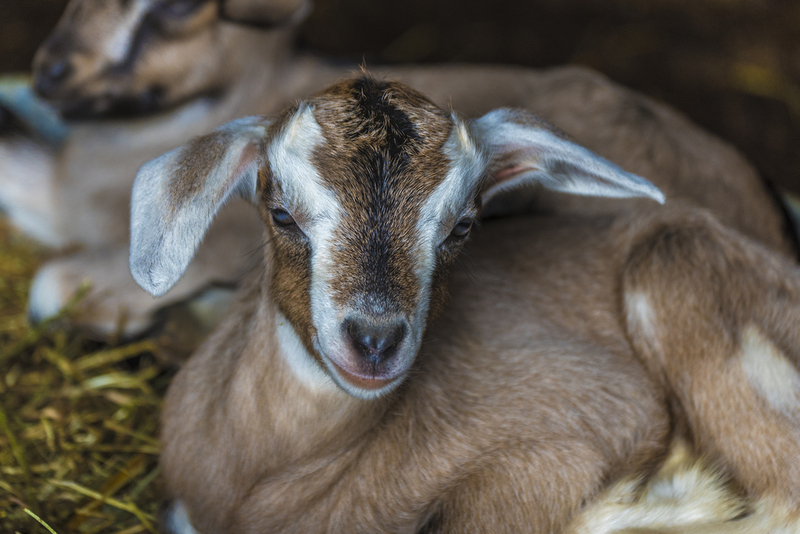 Elodie Farms is a historic 1910s tobacco farm turned goat dairy located in the beautiful Piedmont region of North Carolina, about 25 minutes north of Durham. 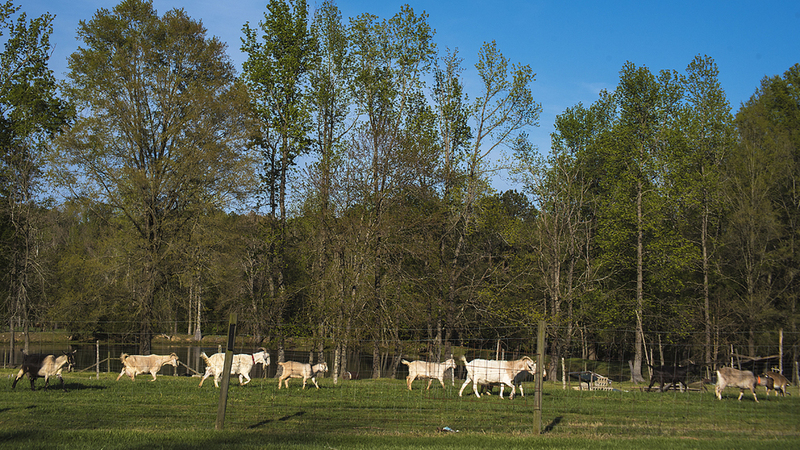 Our farm is home to a small herd of mixed-breed dairy goats that browse happily on 17+ acres of pasture amidst hundred-year old trees, old tobacco barns and a natural lake. We make fresh goat cheese, crackers, goat cheese mousse and spreadable goat milk caramel. You can find our products at the Durham Farmer's Market, the Duke Farmer's Market, Bull City Olive Oil, and Funny Girl Farm. We also host farm dinners on the second Saturday of every month (year round), and farm tours on the fourth Saturday of the month (April to October). You can now buy eGift Cards to our farm dinners and farm tours here! Farm Tour, Saturday, April 27 at 2P. SOLD OUT. Paint Date with Shelby Dillon, Sunday May 5 from 3 - 6P. For more info & tickets, please follow this link. Farm Dinner, Saturday, May 11 AND May 18 at 6P. SOLD OUT. To be included in our wait list, please email sandra@elodiefarms.com. We dislike SPAM as much as you do. We promise to send one and only one email per month.